Some speeches just seem to sing. The sounds of words and the sounds of silences carry as much content as the words themselves. The speakers remember that oratory carries a long tradition of musicality and performance. At The Eloquent Woman, we call this "vocal verve," and we've picked out seven speeches from The Eloquent Woman Index that show off this quality. 1. 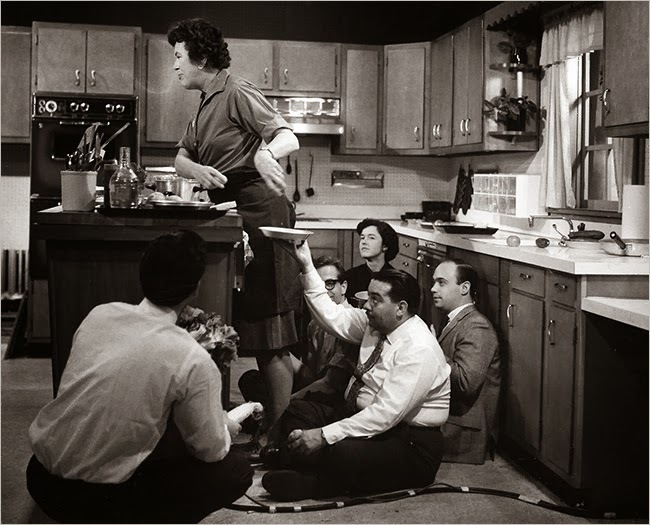 Listen to any of Julia Child's cooking demos, and you'll know exactly what it means to have a musical voice. She was a master at using those high and low notes to lend emphasis to certain points in her demonstrations. And if you want to know what you must pay attention to when making quiche Lorraine, that emphasis is critical. 2. In this 92nd St. Y speech, Phyllis Diller served up her trademark drawl and cackling laugh just as she did in her comedy routines. Her vocal verve was in some ways as calculated as her fright wigs and cigarette holder--all part of her plan to draw attention away from her good looks so that she could be taken seriously as an entertainer. 3. The invocation is a special opportunity for speakers to use vocal verve to carry an emotional, sometimes poetically rendered message. In this invocation for U.S. President Barack Obama's second inauguration, Myrlie Evers-Williams used a variety of cadences, inflections and tones to ensure that her words sang out to an enormous live audience. 4. Eulogies are another type of speech that may benefit from a little vocal verve, especially if the occasion is a public one. In Jennifer Granholm's eulogy for Rosa Parks, you'll hear the former Michigan governor drawing out words, popping her consonants with a preacher's snap and sighing into the mic. She led the audience through the high and low emotions of the speech with this vocal variety. 5. You might expect an actor to know how to deploy her voice with lots of differences in tone, inflection, pauses and emphasis, as Jane Fonda does in this TEDxWomen talk on "Life's Third Act." But it's her quiet, calm tone throughout that really draws her audience to her. 6. If you've ever had to read a bedtime story aloud--or better yet, had a bedtime story read to you--you know how important vocal verve is to storytelling. Spoken word poet Sarah Kay demonstrates storytelling's special vocalizations in "Tshotsholoza," a speech built around an African folk song. The best tales are told with a variety of rhythms, speeds and pauses, all of which Kay uses in this talk. 7. It's probably one of the more famous U.S. political speeches, with most people remembering then-Texas State Treasurer Ann Richards' zinger about George H.W. Bush's "silver foot in his mouth." But that line and others from her speech at the 1988 Democratic Convention went over so well because Richards delivered them in her unapologetic Texas drawl, complete with drawn-out syllables and mock-dramatic pauses. Her bark had bite, and the crowd loved it.